Dennis has 40+ years of experience in the field of the paranormal. He has studied, researched, and investigated many aspects pertaining to the paranormal and the supernatural with many personal paranormal experiences. He is also a researcher and Investigator of the occult and the supernatural. Dennis is a well-known authority on Folklore, Legends, Superstitions, Cryptozoology, and the Occult. He is a Supernaturalist and Paranormal Consultant who has advised people throughout the world. 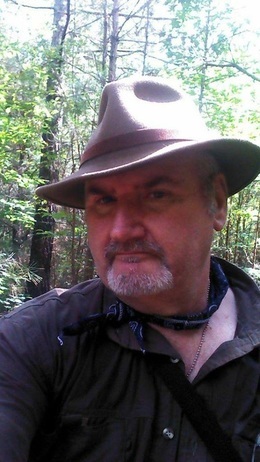 Dennis is a published Freelance Writer/Author, who has written several books and is currently at work on a series of adventure novels based on supernatural events. He is an ordained Minister,and a photographer. He is a well known UFO and Cryptid Researcher. He is a speaker and performs lectures and presentations on culture, folklore, myths, and legends. Investigator/Researcher, Supernaturalist, Writer, Scholar, Paranormal Consultant UFO/Cryptid Researcher and Certified Paranormal Investigator (CPI).